Los Angeles-based trio LANY has announced a headline show at The Limelight 1 on Friday 08th March 2019. LANY released their self-titled debut album in June 2017 and recently performed at Belsonic with Picture This in June of this year. 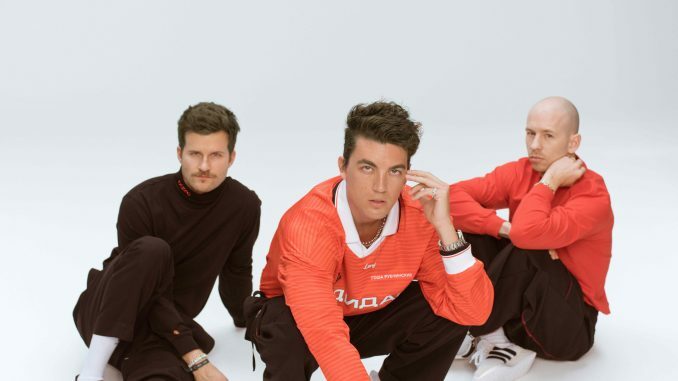 LANY (which stands for Los Angeles New York) was formed in 2014 by three friends: Paul Jason Klein, Leslie Priest and Jake Goss. LANY make music that aims an arrow at your heart; beautiful songs with swashes of synth, spare percussion, echoes of prime 1980s FM pop, of early-1990s R&B, of new-wave electronica, combining melody and lyrics to put down roots in your head and capture your heart. The LA-based trio – Paul Klein, Les Priest and Jake Goss – have amassed a huge live fanbase and last year alone played a total of 117 shows across twelve countries, selling over 32,000 tickets. With over 3.7 million monthly listeners on Spotify, LANY is the most streamed artist of all time through the Spotify Discover feature with ‘ILYSB’ also holding the title of the most streamed song of all time through Spotify Discover. Tickets on sale Friday 16th November at 10 am from www.limelightbelfast.com, www.ticketmaster.ie, Katy’s Bar & Ticketmaster outlets nationwide. Northern Ireland customers 0844 277 44 55.